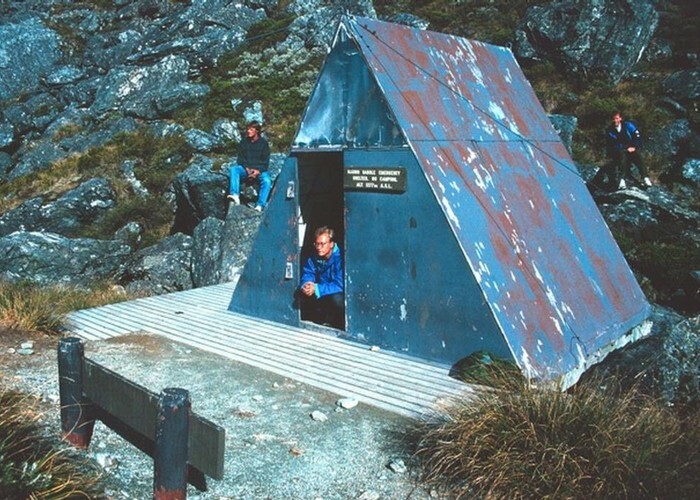 Enclosed day shelter perched on Harris Saddle, on the Routeburn Track. Overnight use prohibited. A side trip from here leads up Conical Hill. Harris Saddle Old Emergency Shelter • By martin.steffen. Along the Routeburn Track: 4.5 hours from Routeburn Shelter, or around 8 hours from The Divide. Added 25 September 2005 by MatthewMatthew. 2 revisions, most recently 20 November 2012 by MatthewMatthew. 189 views in the past year (16 per month).